Sigurd Olson and the Establishment of Voyageurs National Park - Keeping Wilderness WILD! Last year, 2016, marked the centennial of the formation of the National Park Service. The heightened awareness of the National Park Service surrounding this anniversary has triggered a fresh interest in the national parks that this agency manages. Of particular interest to those with an interest in Sigurd F. Olson is the story of national parks in Sig’s home state of Minnesota and Sig’s role with them. As this article will show, Sig did play a critical role in the establishment of Minnesota’s only full-fledged national park, Voyageurs National Park, for at least a decade in the 1960s and early 1970s. By 1959, the National Park Service (NPS) expressed interest in updating its 1939 parks and recreation plan for the Minnesota Division of State Parks, and NPS field staff visited the area to do that and to begin investigating possible national areas in the Kabetogama Lake area. The State Parks Director, U.W. “Judge” Hella (not a judge in real life), briefed Minnesota Governor Elmer L. Andersen in September 1961 about the NPS interest, and Andersen became like Hella an enthusiastic national park supporter. Sigurd Olson would also play a vital role. At this point in time, Sig stood in a very important position nationally. He had gained national attention for his wilderness conservation work in the late-1940s to protect the area later to be re-named the Boundary Waters Canoe Area. Sig had worked as a wilderness ecologist for the Izaak Walton League of America since the late-1940s, and also served as a consultant to the President’s Quetico-Superior Committee. He had written three critically-acclaimed and popular books (The Singing Wilderness, 1956; Listening Point, 1958; and The Lonely Land, 1961) that brought him new national distinction and standing, with three more books coming out later in the 1960s. He had served on the board of directors of the National Parks Association for most of the 1950s, including six years as board president, and he had joined the Wilderness Society’s Governing Council in 1956 where he would also become president in the 1960s. And perhaps most importantly for the Voyageurs story, Sig served on the Department of Interior’s Advisory Board on National Parks, Historic Sites, Buildings and Monuments beginning in 1959. This prestigious board advised the Interior Secretary on park management and potential new national parks. Invited to join by President Eisenhower’s Interior Secretary, Fred Seaton, Sig continued on this board during the new Kennedy Administration where he strengthened his friendship with NPS Director Conrad “Connie” Wirth and developed a close relationship with newly-appointed Interior Secretary Stewart Udall. Those connections, his position on the National Parks Advisory Board, and his personal familiarity with the broad international Quetico-Superior region that included the future Voyageurs National Park would all prove immensely valuable. In October 1961, Sig participated in a field trip with NPS staff, Hella, and others to the area around the Kabetogama Peninsula. The field party agreed that “Kabetogama had potential as a national area and recommended that the director authorize full-scale studies of the area.” At the end of that same month, Wirth authorized those studies to begin, and Gov. Andersen began promoting the concept. The push to establish Voyageurs had begun. In June of the next year (1962), Gov. Andersen invited Connie Wirth to visit Minnesota, in part to be present at the dedication of the new Bear Head Lake State Park between Tower and Ely. But Andersen had also arranged a visit to the proposed national park site so Wirth could see the area himself. Sig, Judge Hella, and others joined them on the field trip on June 27th to the Kabetogama-Rainy Lake area. Connie Wirth was quickly convinced. During that field trip and a discussion of what to name the new park, Sig suggested the name as Voyageurs, after the hardy canoemen of the fur trade era who had paddled their birchbark canoes through the region. According to an unpublished essay Sig wrote nearly two decades later, Wirth slapped his knee at Sig’s suggestion and exclaimed, “That’s it!” The name stuck. Sig continued to fight for Voyageurs in the coming years, including work with the National Parks Advisory Board. In October of 1962, the board voted to submit a formal recommendation to the secretary of interior that stated that the region was “superbly qualified to be designated the second national park in the Midwest.” (Isle Royale was the first national park in the region.) In 1964, as another example, Wirth’s successor as National Park Service Director, George Hartzog, suggested downgrading the proposed national park to a lesser category such as a national recreation area. Sig successfully urged the Advisory Board to re-affirm its support for Voyageurs as a full national park, and Hartzog relented. Sig spoke at public meetings, worked with the Voyageurs National Park Association (which had formed to push for the park’s establishment), and continued to work with Elmer Andersen, who remained a strong park proponent even after Elmer had left the governor’s office in 1963. Sig testified at the Congressional field hearings on the Voyageurs National Park legislation in International Falls in 1969, and again at House hearings in Washington, DC, the following year, testifying that the proposed park’s spiritual and intangible values were its greatest resources. The Voyageurs Park proposal was not without controversy, of course, and at many steps in the process obstacles appeared that could have delayed or killed the bill. Intense opposition in some parts of the local communities often nearly derailed the effort. In late 1970, after the Voyageurs bill had passed the House, a worried Rep. John Blatnik (who represented the area) asked Elmer Andersen and Sigurd Olson to come out to lobby for the Voyageurs bill when it appeared the bill might die in the Senate. They did so and, among many other frantic lobbying efforts, arranged a personal meeting with Sen. Henry “Scoop” Jackson, who chaired the Senate committee. They convinced Jackson, worked around other obstacles, and the bill passed the Senate. President Nixon ultimately signed the Voyageurs bill into law in January 1971. Voyageurs National Park, though authorized by the 1971 legislation, would not officially be established until 1975. The Voyageurs bill required the State of Minnesota to first donate state-owned lands within the park (some 36,000 acres, of which 25,000 were School Trust Lands) to the federal government. This required special legislation from the Minnesota Legislature and compensation to the State School Trust Fund (first condemnation, then the sale of state bonds to reimburse the trust fund). “Cultural, esthetic and intangible values are a composite of many things: beauty of terrain, geological and ecological understanding, and the background of human history. Knowledge of how the land was formed, its volcanic eras, the vast glacial periods which smoothed, gouged and shaped its surface into what we see today is vital to appreciation of its values. The evolution of wildlife and vegetation, their slow adjustment to climate, water, soil, and land forms are as necessary as having an understanding of the hopes, dreams, and fears of those who lived and labored here hundreds and even thousands of years ago. All this imparts deeper meaning and even enhances its beauty. As an ecologist, I became convinced that the entire area was an ecosystem of special significance, one of the rare undisturbed regions of the Great Lakes biotic complex with infinite and authentic interdependencies among its many associations. The stands of beautiful red and white pines growing along the lake shores meant more to me knowing they were the northern-most extension of their range, that while a few stands could be found elsewhere and even beyond the Quetico, it would be spruce or jackpine intermingled with birch and aspen, from here up to the barren lands of the tundra. Knowing the involved geological formations with their exposures of greenstone and intrusions of granite and basalts, the story of the glaciology with its disturbed drainage patterns and the response of all life to the ancient fire ecology of the north, gave new appreciation of the area’s intangible values. The bogs with their paleobotanical records of phantom forests of the past imparted insight to the forests of today. This maze of waterways had its human history as well, for over its lakes and portages had passed voyageurs on their 3000-mile trek from Montreal into the far Northwest. Here too went the great explorers, Alexander Mackenzie, the Henrys, Verèndrye and a host of others, a stream of heroic figures through the border lakes from Grand Portage and eventually through Crane, Namakan, Kabetogama and Rainy Lake into the park area. Over these routes went tons of trade goods to the west and fortunes in fur for the waiting markets of the east. This was the route of Canadian destiny. As one paddles down this famous wilderness highway, it takes little imagination to picture the colorful brigades of the past, red-tipped paddles flashing in the sun, the gaudy designs on bow and stern of each canoe. As one sits before a campfire one can almost hear the sound of them and the songs of the French voyageurs coming across the waters. Voyageurs National Park is properly named, for all traffic from east and west funneled into Rainy Lake, the canoes from Grand Portage along the border, those from Fort William over the French-Dawson route, those from Lake Superior going up to Vermilion and La Croix. No wonder an important post was maintained at Rainy as a rendezvous and meeting place for expeditions from Montreal and far away Athabasca. Of such human history are intangible values made, and all add to the beauty and meaning of the Voyageurs National Park area. Perhaps as important a value as any is the wilderness character of the area between Lake Superior and the Rainy River, where alone of the 3000 mile extent of the Voyageur’s Highway, the scene is still relatively unchanged with old pines standing that voyageurs saw as they passed by. This wilderness, the old sense of solitude and silence, can still be felt there. Kevin Proescholdt of Minneapolis is the conservation director for Wilderness Watch, a national wilderness conservation organization. 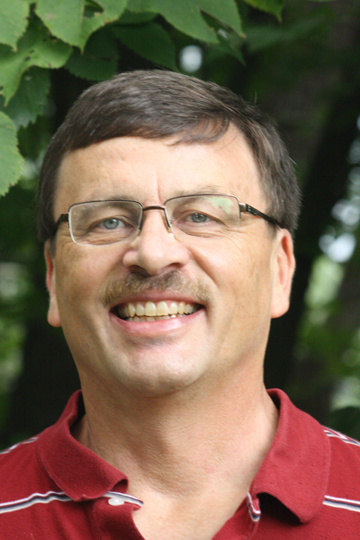 He has written widely on Wilderness, including Troubled Waters: The Fight for the Boundary Waters Canoe Area Wilderness (1995) and Glimpses of Wilderness (2015).